Who doesn’t want to save money easily? With Christmas just around the corner and after recently talking about the hidden costs of being single (You can read about that here: The Hidden Financial Costs of Being Single) I thought it would be helpful to give you my top tips for saving money. Why am I qualified to talk about this? I am a savvy shopper who is always looking for a way to save money and it actually frustrates me when people pay more than they should for things. I don’t want this to happen to you, so I’m here to help with all of my posts on saving money! For many retailers the percentage is only 1% or 2%, but if you do this EVERY time you buy something online it rapidly adds up! There are also many retailers who do deals and much larger percentages of cashback. Also, at Christmas time or around Black Friday when you’re potentially about to spend a lot of money on one website it can be a big chunk of money back. What’s great is this also works on a number of airline and train websites, such as Expedia and trainline*, which is great for your more expensive travel tickets. It also works on ticket buying websites such as See Tickets which is great if you go to as many shows and gigs as I do! My next best tip is a website I visit frequently: Money Saving Expert. This is an absolute gem of a website and has advice on pretty much any money matter you can think of, helping to save you loads of money. This website is updated daily with the latest offers and deals around the web as well as instore, helping you to find the best bargains. They have a weekly newsletter sending you the latest deals and the best money advice. There are pages dedicated to finding savings and current accounts with the best rates and credit cards with the best interest rates. There’s a currency comparison tool, guides to mortgages and compensation tips. There’s also regular advice about changing bank rates and when you should be ditching and swapping your energy and internet providers. There is so much on this site for you to explore that you really should check it out if you haven’t already. Being single is expensive, so allow this site to help you save money! It’s so easy to fall into the trap of staying with the bank you’ve been with for ages, just because it’s convenient. But you’re missing out on a lot of money by doing this. 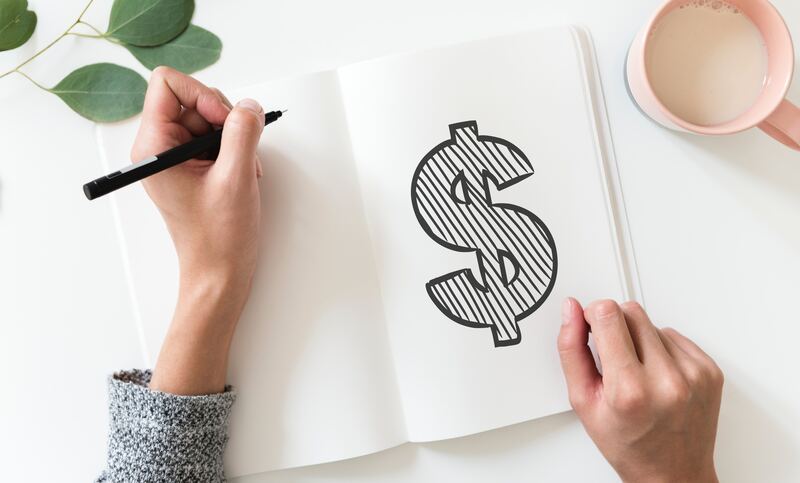 By looking around and researching different banks you will probably find higher interest rates are available, all you have to do is switch bank or set up a new savings account. You can compare all the savings accounts available on Money Saving Expert. If you haven’t looked into other accounts in a while you may be surprised to find out about the switching bonuses and incentives. Banks are competing for your business. Many want you to ditch your current bank and will offer you good money to do so, we’re talking about over £100 in many cases just to swap bank account. It’s really easy to do, you just fill in an online form and everything (standing orders, direct debits etc.) will get swapped from old to new account, so it’s really not a lot of work for you, but a lot of extra money. And there’s no limits to the number of times you can do this. Be a serial swapper. Whenever you see a good incentive for swapping to a different account do it, there’s hundreds of pounds to be gained here! We all need to buy our groceries, and everyone has their own preferences, but there’s plenty of money to be saved here. The big one is to ditch and switch. If you still haven’t tried out aldi yet, then you’re missing out. I’ve been shopping here for years, but in the last 3/4 years they’ve come on leaps and bounds with even more fantastic ranges. Now is the time to try it if you haven’t. Lidl is also similar if you haven’t got an aldi. I understand that not everyone is up for moving away from the more ‘traditional’ top supermarkets. But you can still save money by shopping around. If you have options and several supermarkets are equidistant, think about the things you buy a lot: pasta, bananas whatever it is, or more expensive items that you need often. Then do some research. Look online or visit each store to find out (and write down!) the costs of these key items. If you find a supermarket where these are cheaper, this is the one to shop at! It also means if you do shop in different places you’ll know what a standard price is, so you’ll know what a good deal is. If you’re not keen on shopping around, then think about your brand loyalty. Do you need to get the brand you buy, or can you try a cheaper one? This is so obvious, and I know there are some you won’t be happy to budge on, but do try out a few and see if you can tell the difference. This is another one I use regularly. Frozen food is frozen fresh. So long as instructions are followed about defrosting and cooking, the quality should remain as fresh, it just lasts a lot longer. There are lots of foods I buy frozen because it is a lot cheaper for the weight. You may not want to do this for everything, but does it hurt to try if I saves you a lot of money? Food gets reduced, sometimes a few days before it’s best before or use by date, but regularly on the day. These products are still perfectly usable and are a bargain waiting to be found! The expert bargain hunters know what times their local supermarkets do their price reductions (usually an hour or two before closing) not only saving you money but a decision making exercise for dinner too! Most food can be frozen, so you can stock up on lots of cheap reduced items and put them in your freezer- just remember to individually pack them for the freezer so you don’t get stuck having to defrost four meals worth at once! And, if you’re shopping online don’t forget that you can go to the site through TopCashback and get a percentage of your spend back. If you’re looking for meals out and activities don’t forget to check groupon. You can shop countrywide or in your local area- allowing you to find good deals for meals out and beauty treatments etc. There are also a number of bargain shops that you need to check regularly for good deals, such as poundland, poundstretcher and your local charity shops! If you’re looking somewhere more specific don’t forget to check ebay either. New and nearly new products can be found on ebay, often cheaper, so don’t exclude this from your online shopping search. If you are travelling by train you can make sure you get the best deal by doing some research. If you’re travelling outside of peak times and you look 4-8 weeks before travel you can get advance train tickets for many routes, giving you the cheapest ticket. If it’s a long route using more than one train line then there are usually deals to be found. 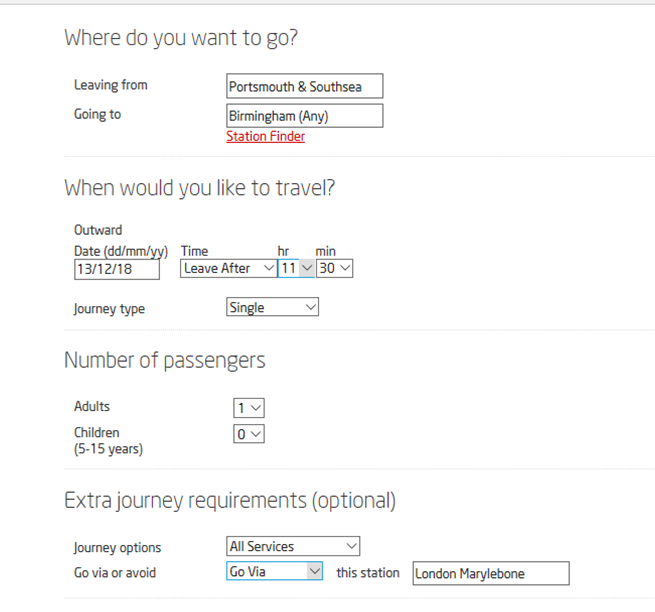 The virgin trains website gives you an option to find the cheapest tickets available, but you can also try splitting your ticket or forcing a particular route (that may have a differently priced ticket) through the via/avoid options on the advanced search. For example, I have found that there are some really cheap train tickets for journeys that include travel between London and Birmingham using Chiltern Railways. These tickets aren’t always available and don’t show up in every search. But if I choose ‘via’ London Marylebone it will now only show me tickets for this route, including those cheaper tickets. Until the end of November you can get £15 from Top Cashback when you book on the trainline here*. Get a railcard. If you use trains more than 3 times in a year it’s worth it. If you travel in London don’t forget that you can add your railcard to your Oyster card too! This isn’t advertised a lot, but just like on train travel will save you a third on all underground fares too. You will have to track someone down at a station to apply your railcard to your oyster card, but it’s worth it! There is lots of money to be saved in getting cheap flights and at the airport. There’s so much in fact that I’ve put it in a separate post, you can read it here. These are just some tips, but there are so many more! If you have a particular question or area you’re trying to get cheaper please get in touch and I’ll see how I can help. Please add your money saving tips to the comments to help everyone out! All websites linked to are because these are sites are genuinely think are great! Those marked * are affiliate links, giving me a small percentage commission for some purchases. Want more posts on saving money? Check out the ‘Money’ section.